Pawling Engineered Products Inc, the manufacturer of highly specialised elastomeric products, today introduced the industry’s first silicone inflatable seal with built-in antimicrobial properties. The AMS Series antimicrobial silicone provides an added layer of protection in food processing, pharmaceutical, medical and scientific applications and other high-performance environments, where cleanliness and inhibiting microbial contamination are critical. The AMS Series antimicrobial silicone material is especially designed for inflatable seals used in a wide range of pharmaceutical, medical and sterilizer seal applications. 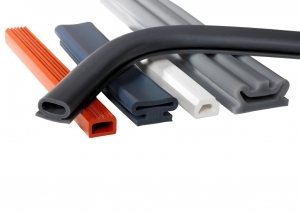 The material is readily available in Pawling Engineered Products’ standard PRS573 inflatable profile, but can be customised to suit any unique inflatable or compression sealing applications. Among the additional benefits customers can expect is long cycle life. Pawling Engineered Products’ internal tests show that after 2 million cycles, under standard sealing conditions, the material retains its integrity.